Are you ready to discover and share ideas worth spreading? TED has created a program called TEDx, which is a program of local, self-organized events that bring people together to share a TED-like experience. 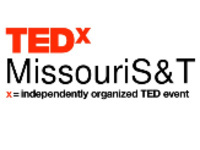 Our event is called TEDxMissouriS&T, where x = independently organized TED event. From the stage at Leach Theatre, our speakers will spark deep discussion and bring their ideas to life. Tickets will be available in February.